The National Lilizela Tourism Awards are the biggest and only country-wide celebration of tourism excellence in South Africa, championing the importance of the growing visitor economy, which attracts over 4 million visitors to our beautiful country each year and supports over 700 000 jobs. The sixth edition of the National Lilizela Tourism Awards ceremony took place at the Sandton Convention Centre in Johannesburg on Saturday 17 November 2018 in a star-studded ceremony. This annual event, organised by South African Tourism, recognises and rewards those who work passionately and with pride to deliver a world-class product and service and whose delivery grows South African's global destination competitiveness. “A thriving South African tourism sector contributes to the economy, to employment, to the culture, the quality of life and the prosperity of our beautiful country. Tonight we were reminded of the diversity South Africa has and how privileged we are to have such amazing experiences to offer global visitors,” says South African Tourism CEO, Sisa Ntshona. Click out here to see all the winners. One of the eight categories that is particularly noteworthy is the Visitor Experience category. The winners in this category were divided into further sub-categories that you can check out below. AfriCanyon River Adventures - Offering some of the best in adventure activities near Plettenberg Bay, AfriCanyon is awarded as a Visitor Experience winner for good reason. Whether navigating the shallows of a river, zip-lining or kloofing about waterfalls and river gorges - this is an excellent way to get your adrenaline fix in South Africa. Chokka Trail - The Chokka Trail has won the Visitor Experience for best Beach Experience three years in a row and it's not hard to see why. 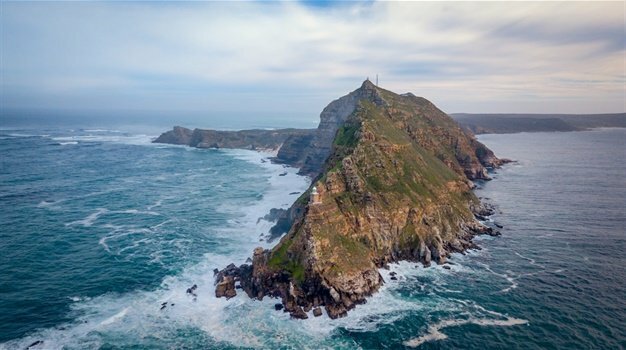 Taking travellers through three picturesque fishing villages, by a rugged coastline, a tidal river, wetlands, sand dunes and protected fynbos - the Chokka Trail is a great 62 kilometre hiking holiday. 4Roomed eKasi Culture (Pty) Ltd - A business concept poised as an attempt to be something of a rebirth of Ubuntu, 4Roomed is intended to evoke nostalgia associated with the South African kasi experience and lifestyle through food, style and decor. Hollywood Mansion Camps Bay - Camps Bay has long been renowned as one of the most luxurious areas in South Africa. It should be no surprise then that the Hollywood Mansion wins the Lap of Luxury title in the Visitor Experience category with its fine offering of 6 bedrooms and butler in the heart of Camps Bay. Marine Dynamics Tour - One of the most unique experiences to enjoy in South Africa must be shark cage diving with great white sharks. Marine Dynamics has won in the Marine Adventure subcategory of Visitor Experience with its excellent offering. Blending education, conservation and thrills on a luxury boat - it is not difficult to see why. Traditional African Homestays South Africa - If you are looking to enjoy an authentic cultural experience, interacting with the community in a Venda village, trying your hand at the arts and crafts - look no further than this award-winning experience. Untouched Adventures - The Lilizela Awards have recognised Untouched Adventures as the top organisation to enjoy an unspoilt, untrammelled view of some of the best of South Africa's natural scenery. Opening up and exploring the Storms River gorge, travellers can expect to enjoy entering previously unexplored and secluded spaces. Ngwenya Lodge - Ngwenya Lodge is in an ideal location from which to do some wildlife viewing, situated on the southern boundary of one of the biggest and best-known wildlife sanctuaries in the world - the Kruger National Park. Being able to see the big five without having to even leave the resort makes this incredibly unique.